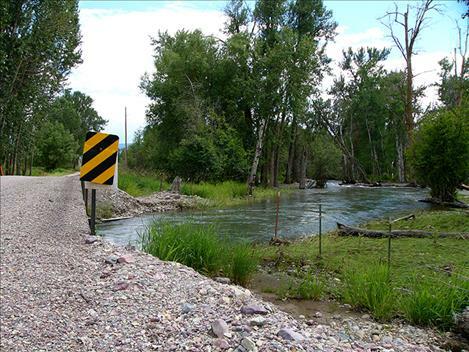 Floodwaters from recent rainstorms caused damage to Delaney Way near McDonald Lake Road in Charlo. 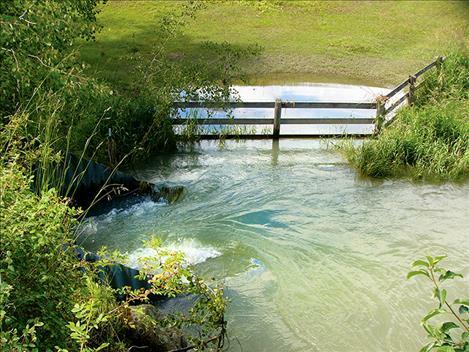 Water spills through a culvert and out into a field along Dublin Gulch Road. At one point, the creek completely filled the culverts and ran up over the road. ST. IGNATIUS – Rising waters are an enemy of road infrastructure, and Post Creek has been especially tough on the bridges and culverts that it flows through this year. 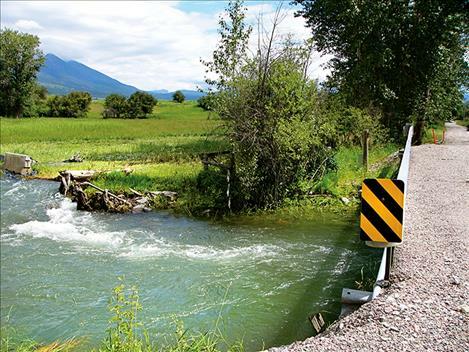 “When you put a bridge and a road over a creek, you’re not letting it do what it naturally wants to do, which is to meander and change,” Lake County Commissioner Dave Stipe said. 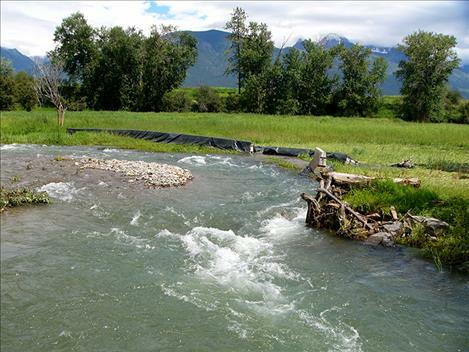 Creeks change their courses during significant rain events like the one that occurred last Saturday, which washed out a culvert and parts of the road on Delaney Way near its intersection with McDonald Lake Road. According to Stipe, about an inch of rain fell on the valley, and an estimated three inches fell in the mountains. Post Creek also covered Dublin Gulch Road in about 8 inches of water when the creek rose above the culverts. 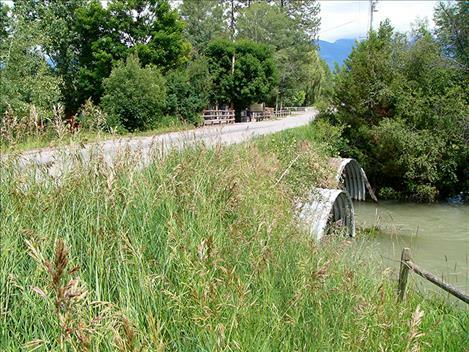 Allard Road, Post Creek Road, and Foothills Road were also impacted where they intersect the creek. The roads were closed until the water receded. A hole in Post Creek Road was repaired on Wednesday. The worst damage was to Delaney Way, where crews had to rebury the culvert and add fill to bring the road up to grade. The road was closed from Sunday through Wednesday. While Delaney Way was closed, a temporary road through an adjacent pasture was established. Stipe said that this allowed the five or six families who normally access their property using the damaged road to reach their homes. 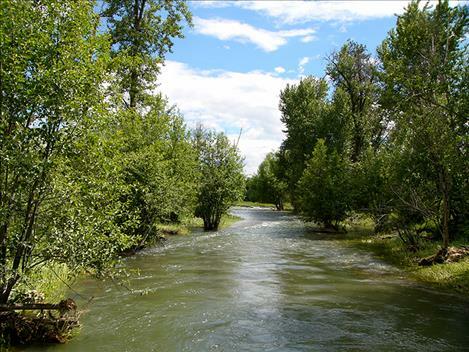 According to Stipe, the flooding was a result of above-average snowpack in the mountains and accumulation of precipitation this spring. 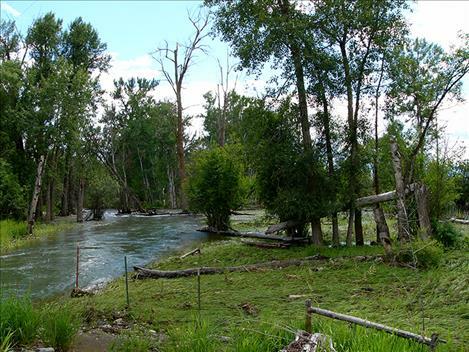 The Mission Reservoir and McDonald Lake are full of water, so any additional rain flows into waterways like Post Creek. Stipe said that he expects this will not be the last time a road in the region is impacted by flooding. “It happens as often as we get prolonged wet periods,” he said. 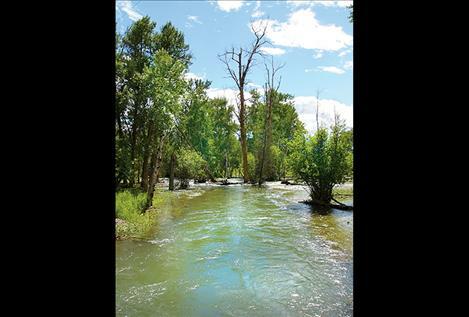 Emergency Management Coordinator Steve Stanley said that when there is a big rain event, Dublin Gulch Road and Delaney Way are often impacted because of the shape of the creek where it intersects those roads. Stipe had advice for those who encounter flooded roads. He said that water could obscure a dangerous hole in the road, and asked that those who find substantial water across a road turn around or call for help rather than driving ahead.